Mitchell Starc and Pat Cummins have decided not to participate in IPL 2019. They have not registered themselves for the upcoming season of the T20 league. The number of Australian players for the next season of the Indian Premier League (IPL) keeps on decreasing with every passing day. After Glenn Maxwell and Aaron Finch decided to pull out of the auction the other day, they are now joined by the pace bowlers Mitchell Starc and Pat Cummins. The duo hasn’t registered their names for the auction which is set to take place in Jaipur on December 18. 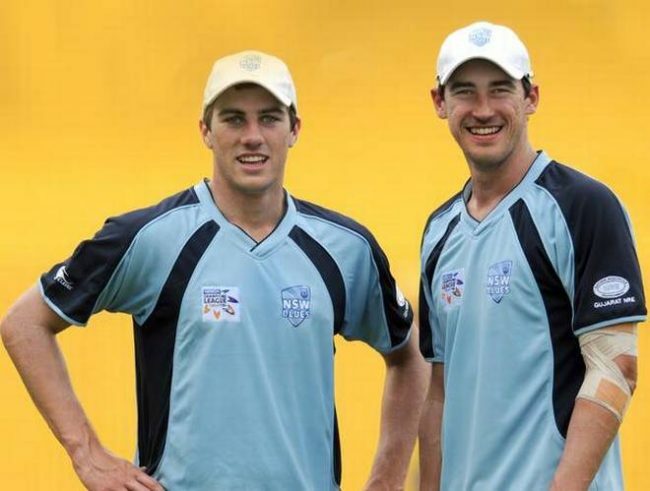 According to the reports in Mumbai Mirror, Starc and Cummins, who didn’t play in 2018 as well despite getting picked by the teams due to injury, have decided not to travel to India for the IPL and hence haven’t put forth their names for the auction. The decision from them seemed coming as Australia have a packed international schedule in the first half of 2019 and also have the prestigious Ashes series to play after the World Cup. Starc and Cummins are currently featuring in the ongoing Test series against India which commenced on Thursday in Adelaide. India’s tour of Australia will conclude on January 18 as the two teams will lock horns in the three One-Day Internationals after the four Test matches. Soon they will host Sri Lanka for only a couple of Test matches before travelling to India for a return limited-overs series. They will play 5 ODIs and a couple of T20 Internationals even as their Sheffield Shield season will end on April 1 which the Cricket Australia (CA) has mandatory for most to play. Meanwhile, there is a possibility of them playing the series against Pakistan in the UAE which might begin in the last week of March and end by mid-April with the CA calling their players back home from the IPL by May 2. This leaves only a short period for the Aussie players to play in the league which might lead to them not playing at all.